Referral marketing is the oldest trick in the book, however in today’s fast moving and digital savvy age, marketers should know how to modify it to suit their ever-evolving user base and bring value to their app. Brands like UBER, Airbnb, and the likes have not only cracked this code; they’ve also found a charismatic way of constantly earning from app referrals campaigns. How can you better your app referrals? This is a pertinent question in the minds of app marketers, the world over. Incidentally, it isn’t an uphill task. The answer to this question may lie in understanding the user’s psychology. That’s because word-of-mouth is triggered by emotions, which makes users trust your product, services or a value proposition and stay hooked on to them. While there are numerous theories that link human psychology and word of mouth, we decided to take a deep dive and unearth information that targets an evolved mind and present day app user. 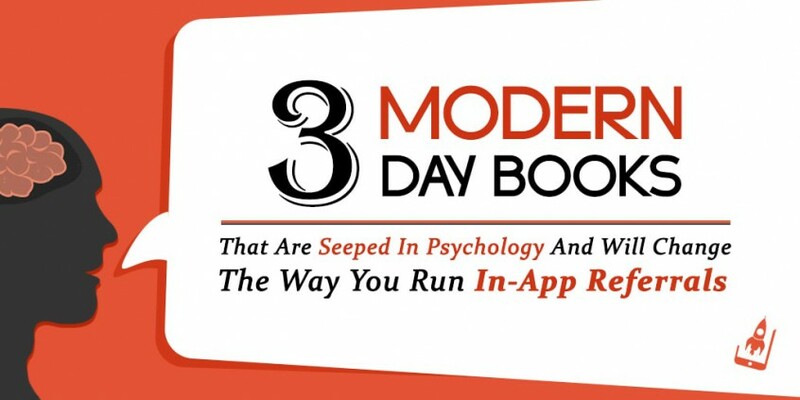 In this process, we’ve discovered three books that are seeped in human psychology and can help marketers approach In-app referrals in a different light. The lessons learned from them can be put to good use while creating exceptional app referral campaigns as well as improvising the existing ones. On a broader level, it will help them in devising campaigns that appeal to both the mind and the heart of the app user and are consistent and methodical in their approach. Getting users hooked on to a product isn’t easy, and this includes your app referral campaigns as well. There may be an initial euphoria, but it may die down sooner than you’ll expect. To reap consistent benefits from your referrals, it needs to be modified over time. And that’s where the ‘Hooked’ model fits in. Triggers– According to Nir, a user’s mind is influenced by two types of triggers-internal and external. Internal triggers are a result of a user’s emotional state and current situation, where as external triggers tell the user what to do next. In-app referrals that are timed keeping in mind these triggers tend to perform better. A good example here is season or event specific referral campaigns. For example, a referral campaign just before a major festival or a holiday will attract more users and help you increase revenue numbers. 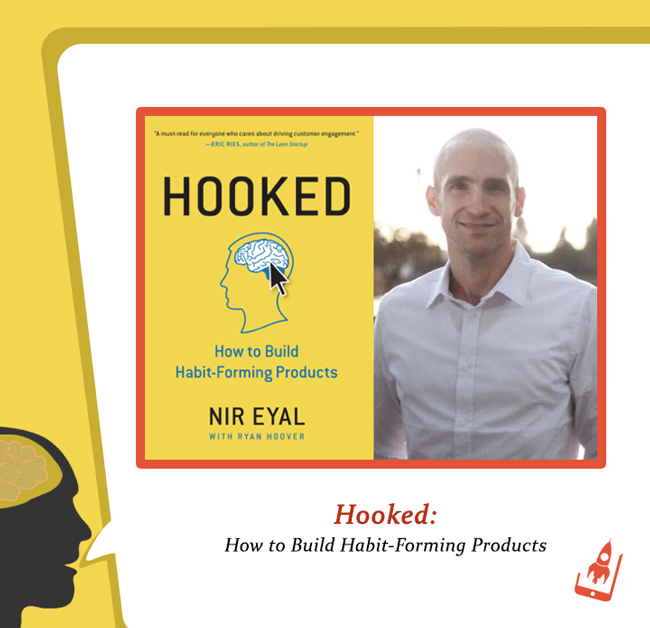 Action– the next step in Eyal’s theory hovers around action. According to him, motivation triggered by emotions forces users to take action. When we are lonely, we check Facebook, when we are excited we talk about it with others. App users should either sense the excitement, gratification or acceptance, to be able to refer more users. The same is visible in the popularity of UBER’s app referral campaign. Applying this logic to In-app referral means highlighting the value proposition clearly and concisely to the app user. Rewards– The most interesting bit of this study revolves around rewards, which according to him Eyal should be variable. According to Nir, variable rewards keep the brain occupied and provide an opportunity to plant the seeds of new habits. These rewards also provide recognition and a sense of self- fulfillment. The key takeaway for app marketers is to constantly change the incentive value. This way they keep the users ‘hooked’ onto for more. 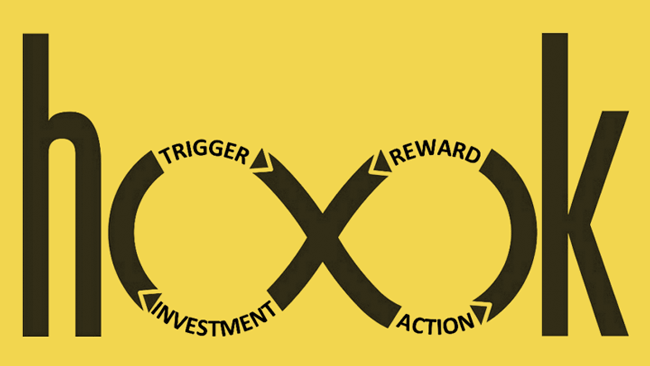 Investment– The last step of the ‘Hooked’ theory talks about investment. In a nutshell, this is the time to induce a viral loop by introducing the next trigger while the app user is still recovering from the joy of earned incentives. App marketers can use this time to promote the campaign all out. This way they are asking users to invest their time and social capital, which also serve as a tie for future hooks. App marketers should create campaigns that act as positive triggers. This way they will be able to get the best from their app referral campaigns. The same principle stands true for app referrals as well. 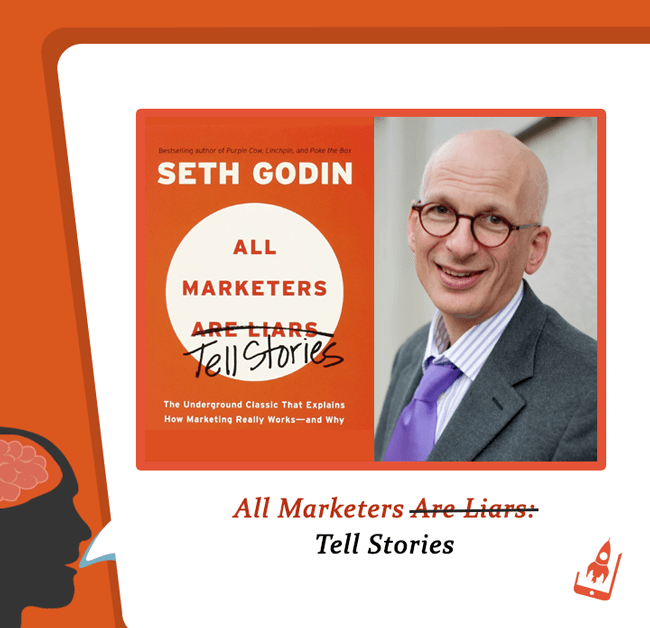 App marketers need to tell an authentic story that users can believe and therefore talk about it. While the value of incentives and the benefit to the user and their friends is the unique selling point here, all that is needed from an app marketer is to work on the marketing message and the promotion of his campaign and craft it in a way that wins trust and is believable. A good story is about how we package it. While referral campaigns have an edge in the marketing world, a strong marketing message coupled with effective promotions can supercharge your app referral campaigns. We’ve often encountered instances when app referral campaigns have come crashing down. Can we blame a bad user experience here? Well, maybe. In this book, Stephen P Anderson focuses on what drives people to take an action in a digital context. Quite interestingly a lot of it can be applied to user interactions within an app. 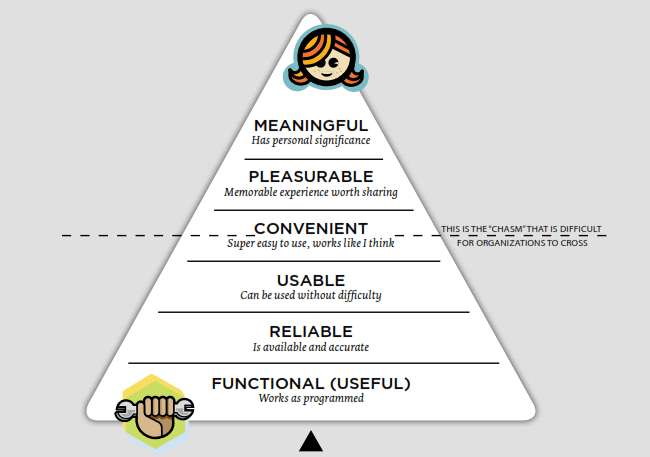 To prove his point he has introduced a user experience hierarchy of needs model as in the image below. Anderson says that marketers should be able to offer an excellent user experience without compromising on functionality, usability, and convenience. In the case of app referrals, this translates into ease of social sharing, easy to copy codes or links and most importantly the ease with users can find it within the app. He also goes on to state that botched up designs may play with a user’s trust and thereby impact their participation. A successful use experience forms the lifeline of a great app referral campaigns. Just like your app it also requires as much attention, given that it is a valuable source of ROI. In-app referral marketing is more than an attractive incentive based engagement tactic. Clearly, an app marketer has to do a lot more in order to motivate its referrers. 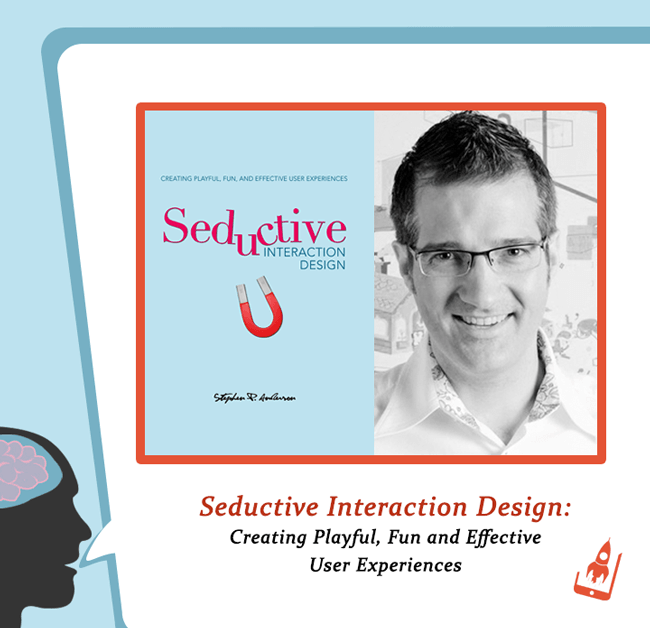 By understanding a user’s psychology and its aftermath on his ability to make decisions, app marketers can improvise and attract more and more users to participate in their campaign. We are also interested to know your approach towards linking human psychology and referral marketing. Have you used this route before? If yes, what has been your biggest learning? Do let us know in the comments below. Thanks for sharing the link Pavneet. It has some amazing books being mentioned.